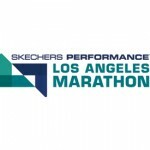 LOS ANGELES (May 18, 2016) – The Skechers Performance Los Angeles Marathon and Venice Marathon today announced a strategic partnership designed to highlight the world-class events on an international scale. The partnership features a unique promotional contest inviting runners to enter to win a package that includes complimentary airfare, lodging and race entries. The Venice Marathon Club will offer a similar promotional contest to their database, highlighting the Skechers Performance Los Angeles Marathon as a must-run, international destination marathon. Both the Skechers Performance Los Angeles Marathon and the Venice Marathon boast international fields that draw from over 60 countries worldwide. The 2016 Venice Marathon will be the 31st running of the event and is scheduled to take place on Sunday, October 23, 2016. The 2017 Skechers Performance Los Angeles Marathon will be the 32nd edition of the event, taking place on March 19, 2017. To learn more about the partnership and to enter the contest, please visit www.lamarathon.com. Conqur Endurance Group, a subsidiary of McCourt Global, is a global endurance brand that channels the vibrancy of Los Angeles into experiences for individuals and communities to exceed extraordinary limits. Our employees are professionals with extensive experience in designing, marketing and executing first-class endurance events and experiences. The Skechers Performance Los Angeles Marathon is among the largest marathons in the country with more than 25,000 participants, thousands of volunteers and hundreds of thousands of spectators. The “Stadium to the Sea” course, starting at Dodger Stadium and finishing near the Santa Monica Pier, is one of the most scenic in the world, taking runners on a tour of Los Angeles past every major landmark. In addition to the marquee event, Conqur Endurance Group produces the Santa Monica Classic 5K/10K, the LA BIG 5K and recently added the Pasadena Half Marathon & 5K at the Rose Bowl, with the inaugural event slated for January 22, 2017. *Terms and Conditions Apply: Open only to U.S. resident, must be 18 years or older. Venice Marathon race entries valid for 2016 event only. Hotel accommodations are subject to availability and limited to four nights between the dates of October 19, 2016 to October 23, 2016. Airfare valid only on Air France operated flights between Los Angeles (LAX) and Venice (VCE) for departure beginning June 1, 2016 through February 28, 2017. Flights may be booked within 6 months before departure for Economy class. Both tickets must be used on the same flights and dates. Booking restrictions apply and due to capacity controlled seating, flexibility of travel dates may be necessary, Flights may not be applied towards accruals for any frequent flyer or similar-type program. Taxes for airport and ground authority paid for by the winner. The Air France cabins are available on select 777 flights from Los Angeles to Paris. Additional restrictions may apply. Void where prohibited by law.